The Ashby Bath Step is specifically designed to assist the user when getting into and out of the bath. The large slip resistant surface offers the user confidence and provides additional safety. 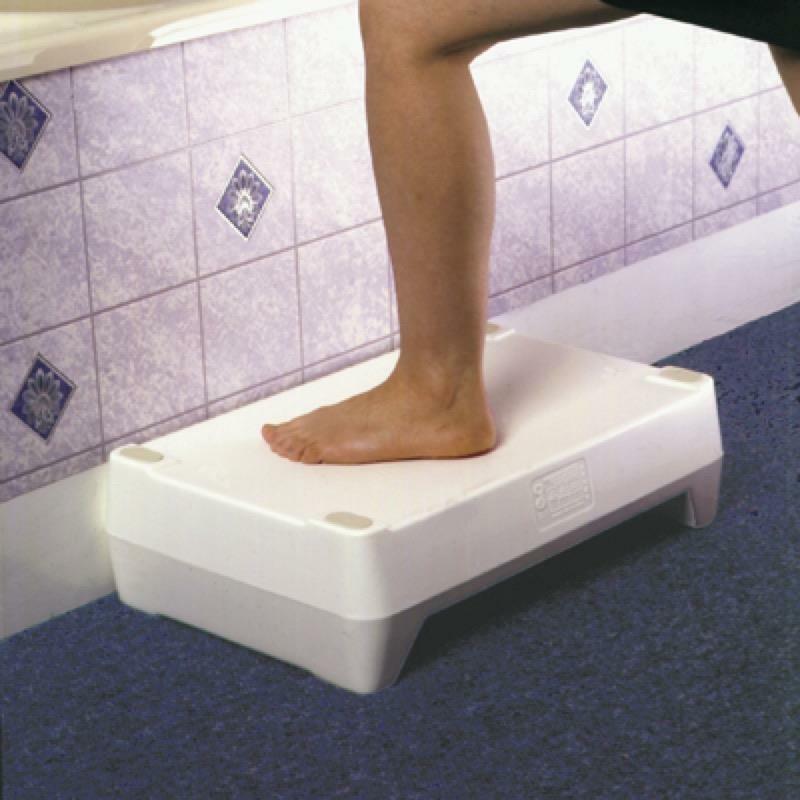 The Ashby Bath Step is specifically designed to assist the user when getting into and out of the bath. The large slip resistant surface offers the user confidence and provides additional safety. 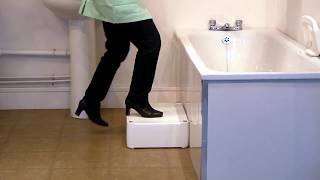 Constructed from hygienic,slip resistant plastic the step is large enough to place both feet on the textured step area and the feet have non-slip rubber pads. It features a central lift hole that makes it easy to transport. The step height is 10cm on one side and when turned over is raised to 15cm.